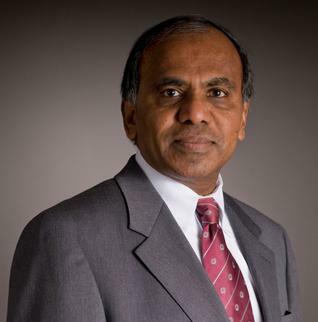 Subra Suresh is the Director of the National Science Foundation (NSF) and former Dean of Engineering and the Vannevar Bush Professor of Engineering at the Massachusetts Institute of Technology. He began his tenure as Dean in July, 2007, and holds faculty appointments in Materials Science and Engineering, Mechanical Engineering, Biological Engineering, and Health Sciences and Technology at MIT. Dr. Suresh was nominated by US President Obama to be the Director of the National Science Foundation. Suresh's research focuses on: nanomechanics of biological cells and molecules, and human disease states; structure-mechanical property-disease connections in the context of p. falciparum malaria, hereditary blood cell disorders and cancer; computational simulations of cellular and molecular deformation and shape thermodynamics; high force optical tweezers studies of biological cells and human disease states; nanostructured materials; nanoindentation and microindentation. Suresh is the author of over 210 research articles in international journals, co–editor of five books, and co–inventor on fourteen U.S. and international patents. More than 100 students, post-doctoral associates, and research scientists who trained in his group occupy prominent positions in academia, industry, and government throughout the world. He has authored or co–authored three books: Fatigue of Materials, Fundamentals of Functionally Graded Materials, and Thin Film Materials.